Built on a tributary of Swan Creek, this reservoir first opened for recreational use in 1996 and was renovated again in 2005. This area covers 195 acres of land with the lake itself covering 95 acres. 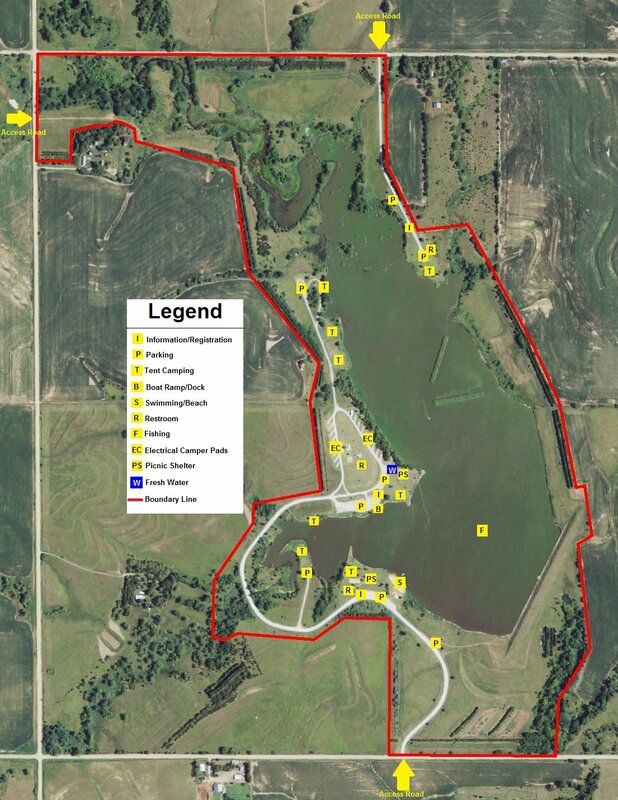 Located 3 miles east and 2 miles north of Tobias, Nebraska, this recreation area offers almost every amenity a person could want. 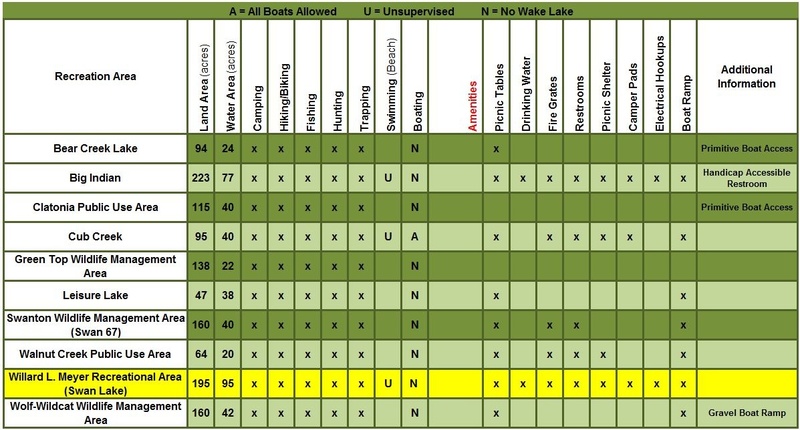 This includes: electric camper hookups, a beach, two picnic shelters, a boat ramp, and many more.